Classic: One way to keep your hair short while transitioning out of the meticulous hairstyles of last year is to adopt a hairstyle similar to Ryan Gosling‘s. You’ll need to begin with a fairly conservative cut and a side part like you did in 2010. The 2011 twist, however, is that your part need not be precise and rogue strands are encouraged. To achieve this look, work in a tiny dab of hair wax or pomade through the front of your hair, using your fingers to create a piecey effect. Trendy Take: The longer your mane grows, the less tame 2011’s piecey hairstyle becomes, as it veers toward the look that James Franco has recently been sporting. Given the wilder feel of this men’s hairstyle, it’s an ideal option for students or guys who work in creative fields. To achieve this look, let your hair grow out for a couple of months, then tell your barber you’re going for a bed-head style so that he can layer your hair accordingly. When styling, use wax if you have thick hair or a gel-mousse on thinner hair. Use your fingers to lift hair upward and separate strands in a variety of directions. Then, lightly mist with hairspray to ensure your style holds all day (or night). Classic: The front wave, a popular style of the 1980s, is making a strong comeback in 2011. Mark Wahlbergdemonstrates a classic way to wear this style, in which hair has a very natural, windswept look to it, as though you’ve driven at top speed downhill in a convertible (that’d be nice). To achieve this look, you’ll need medium-length hair. While your hair is wet, work in no more than a golf ball-size amount of mousse. Next, while blow-drying hair on a medium setting, use your fingers (or a brush with bristles) to coax the front of your hair upward and slightly over to one side. Finish by combing the hair on either side of your head backward. Trendy Take: A trendier way to wear a front wave is to simply apply a little more hair product in order to achieve more of a wet look. This style pairs well with the dressy attire you might wear to restaurants, clubs or bars. Rather than mousse, you’ll want to use gel here, so run a squirt of it through your locks, concentrating more on the front section. Then, use a comb rather than your fingers to lift hair at the root and sweep it over to one side. Keep in mind that even if your wave doesn’t have as much height as Andrew Garfield‘s, you’ll still nail this men’s hairstyle for 2011. 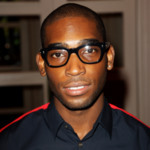 Classic: One of the biggest trends for black men in 2011 is short hair with a very square shape. This hairstyle is a throwback to the looks that dominated the 1950s, but supersharp lines and minimal volume keep everything modern. 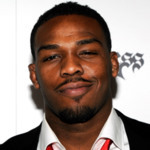 Check out Jon Jones’ cut for an example of how to do this style right, then head to your barber and request a cut of a uniform length that’s cropped quite close to your scalp, explaining that you want your hair to form a straight line across your forehead and also down the sides. An additional benefit of this cut is that it will make your face appear more masculine. Trendy Take: Have fun with this hairstyle by personalizing it. Ask your barber to use a razor to add asymmetrical lines to the cut (the more asymmetrical, the edgier). Alternatively, take the look to the extreme by cutting it super short. Classic: With most male celebrities growing their hair out to some degree in 2011, the question of what to do with those extra inches is inevitable. 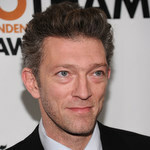 FollowVincent Cassel’s lead and go for a look that literally makes your hair stand on end. This style works best with thicker hair that can take some product, so avoid it if your hair is fine. After working a squirt of mousse through your hair when damp, use a brush (or your hand) and a blow-dryer on a low setting to encourage your hair to remain in a vertical position. Picture a refined mad scientist, and you’ll get the idea. Once you’re satisfied, use a brush or comb to slick back the sides of your hair. Finally, spray a thin veil of hairspray over your entire head. Note, too, that as Cassel demonstrates, wearing a little gray in your hair continues to be as cool this year as it was last. 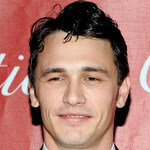 Trendy Take: A hipper version of thismen’s hairstyle resembles a messier version of a faux hawk. In essence, it’s a faux-faux hawk. 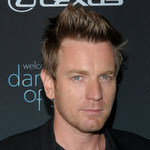 To experiment with this style, as recently shown by Ewan McGregor, apply sculpting clay or wax to damp hair if you have short hair or use a strong-hold gel if you have medium-length hair. With the help of your hand and a blow-dryer, push all your hair toward the center of your head. 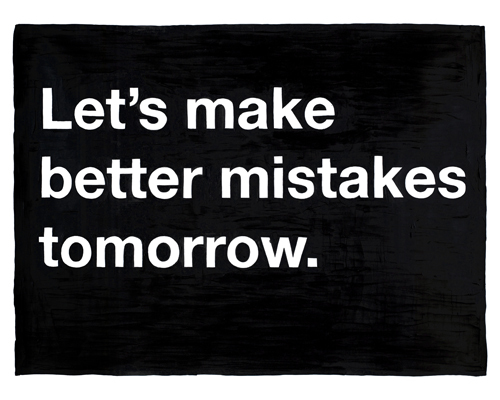 Don’t worry if not all of it behaves — the point of this style is to be imperfect. Tousle your hair lightly, then finish with a shot of hairspray to keep everything in place. Classic: In stark contrast to all themen’s hairstyles of 2010, styles this year are generally longer and much less tidy. At the same time, certain realities, namely, working in an office, require you to maintain a pulled-together appearance. As David Beckham demonstrates, however, it is possible to wear long locks in a groomed way. His secret weapon is a great cut, so start by visiting a skilled barber. Tell him you’re growing your hair out and that ultimately you’d like it to be in layers, with the longest pieces just below your ears. Once your locks start getting longer, part your hair down the middle and comb a minute amount of pomade through the front sections of your do to keep everything smooth. 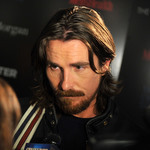 Trendy Take: The secret to getting away with sporting hair as long asChristian Bale’s is that your mane should be in top shape. That means healthy and shiny rather than stringy and greasy. Use shampoos and conditioners specifically formulated to your hair type, and use only minimal amounts of styling products — a little pomade can be applied, for instance, if you want to slick your hair back so that it stays off your face and out of your eyes. One word of caution: Unless you too are a movie star or at least a recluse of some kind, with hair this long, skip the bushy facial hair and opt for a clean shave. Classic: The 2011 way to style curly hair is to wear it relatively short and brush it forward. What’s great about this style is that, apart from a good cut, all you’ll need is a little gel to help control your hair from becoming a frizzy mess and a quick brush — that’s it. This style will let you get out the door in five minutes flat, so it’s ideal for guys with a busy schedule. Trendy Take: As discussed, midlength and longer hair is popular for 2011, and this trend holds true for curly hair too. 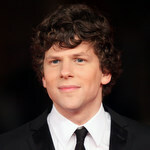 Take a look atJesse Eisenberg’s long locks, which have been combed toward the front, to get a good idea of how to do this slightly disheveled style right. Once your hair is the right length, take a pea-size amount of curl-enhancing gel and simply use your fingers to move all the hair from the top of your head toward the front. Remember to visit your barber every four weeks so that your hair never gets long enough to fall into your eyes. As you can see, there have been some changes in men’s hairstyles from 2010 to 2011, with much longer lengths being emphasized for most hair types. And because switching up your hair is one of the fastest ways to upgrade your look, now is the time to start experimenting with your style.